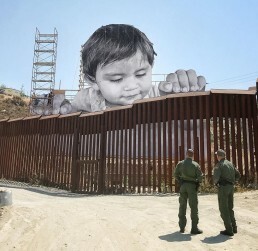 French artist JR has placed a 70-foot tall image of a one-year old boy peeking over the edge of the US-Mexico border. 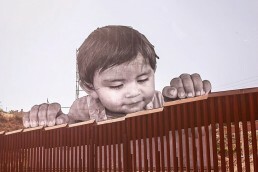 Facing the United States and overlooking the Californian landscape, the child peers over the wall with curiosity and interest at land on the other side. 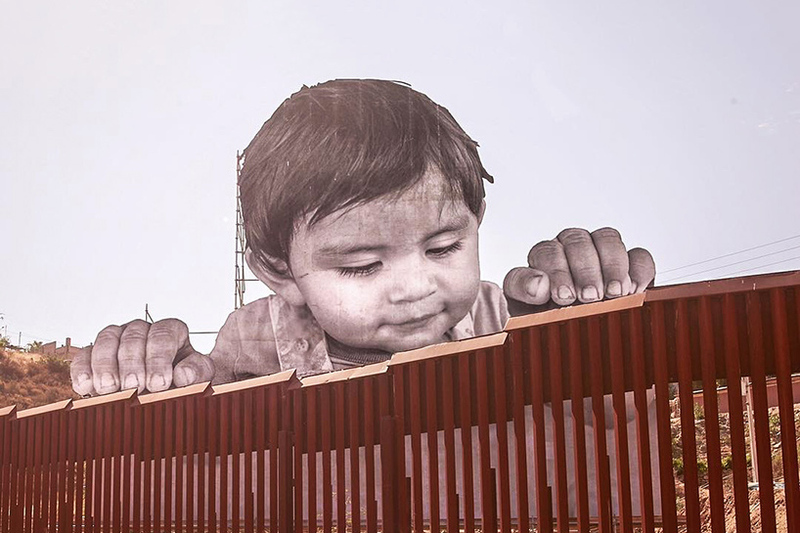 The project is in response to President Trump’s reversal of the DACA Program — a policy that protects eligible immigrants, who came to the United States when they were children, from deportation. Presented for one month at the Mexico-US border near Tecate, California, JR’s monumental artwork is a powerful and peaceful message about child immigration, specifically the unknown fate of the 800,000 ‘dreamers’ that form part of the DACA program today. 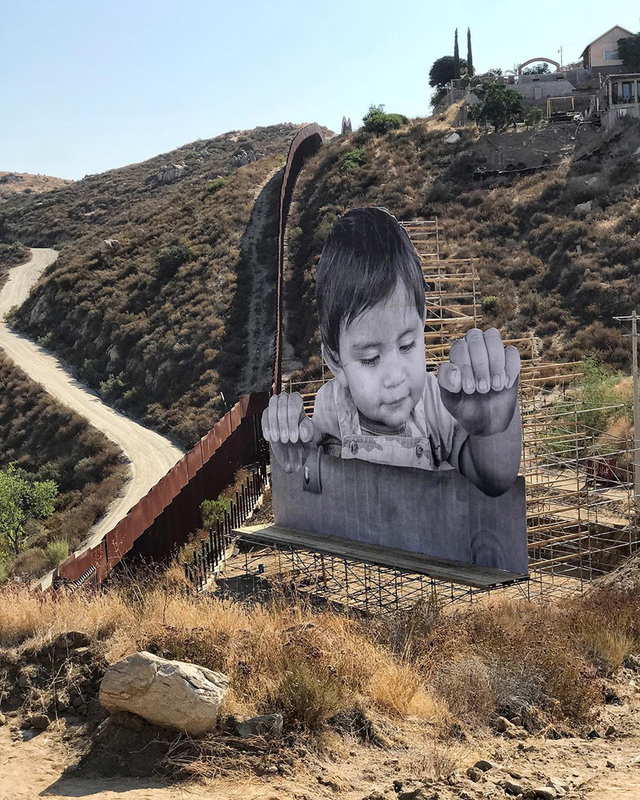 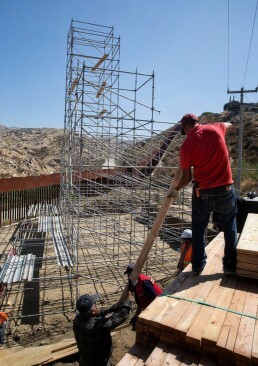 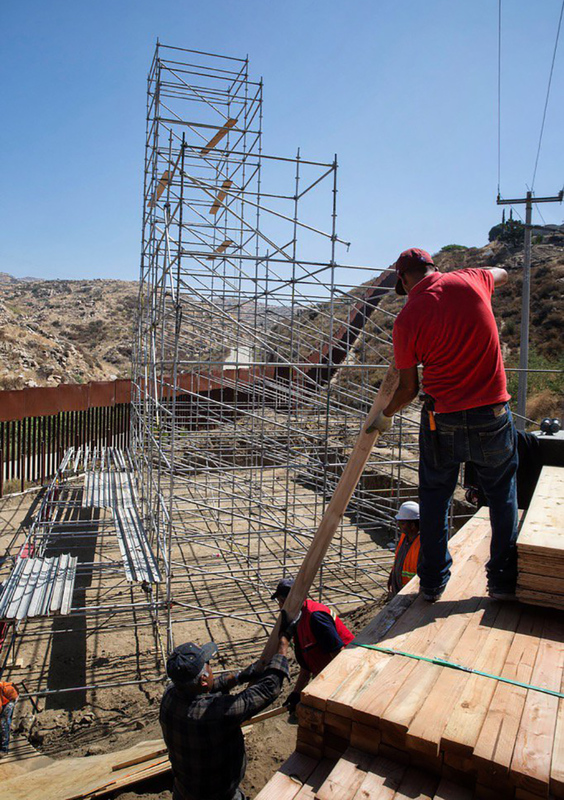 Curated by Pedro Alonzo, the installation is built on layers of scaffolding, allowing the image of ‘Kikito’ — rendered in JR’s typical black and white — to curiously peek over the border wall. 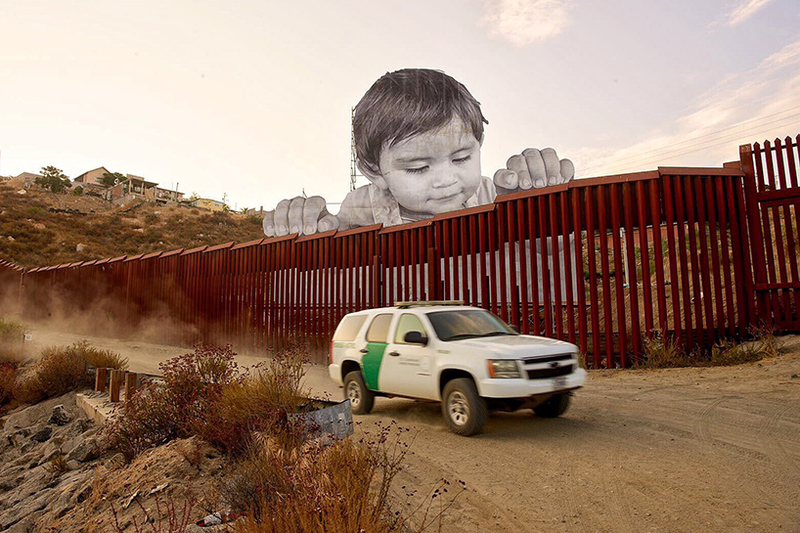 JR often spotlights local people and seeks to tell their stories through simple portraiture placed in surprising spaces.